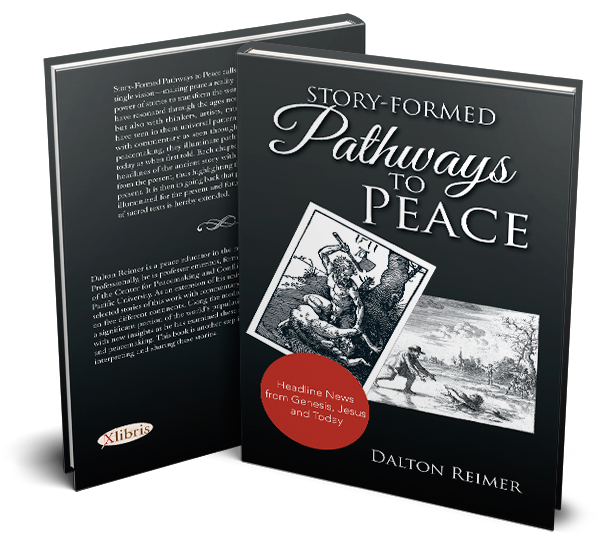 This book points to universal pathways to peace for all times as revealed in the family stories of Genesis and Jesus. The stories of Genesis and Jesus inform all three of the Abrahamic religions of our world. Genesis is the shared story of creation and the earth’s first families. Jesus is respected as rabbi and teacher in Judaism, prophet in Islam, and savior and lord in Christianity. Both Genesis and Jesus point us beyond the no of violence to the yes of peace — shalom in Hebrew and salaam in Arabic. While I write as a Christian, I invite adherents of all three religions, along with those interested in the pursuit of peace for whatever reason, to consider what we might learn from the early family stories of Genesis and the later story and teachings of Jesus, both at points of new beginnings.